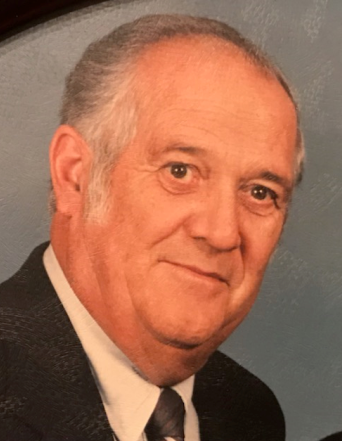 Grover Odle, 85, of Decatur, IN, passed away Sunday, February 3, 2019 at Adams Woodcrest. He was born on March 20, 1933, in Decatur, IN, the son of the late Grover M. and Nettie (Reynolds) Odle. On October 19, 1958, he married Ada M. Foor and she preceded him in death on September 1, 1996. He then married Norma L. Gentis on September 12, 1998 and she passed away on August 8, 2009. He protected his community on the Decatur Police Department for 20 years, serving as the Chief of Police from 1964 to 1976. He also fulfilled his duty to his country serving in the U.S. Navy during the Korean War. Grover attended St. Mark’s United Methodist Church in Decatur. He was also a member of the Adams County Fraternal Order of Police 127, American Legion Post 43, the V.F.W., and the Loyal Order of Moose 1311. He survived by 2 sons, Grover E. “Chief” (Lynn) Odle and Thomas W. (Laurie) Odle both of Decatur; a daughter, Michele L. Odle Butcher of Decatur; a stepson, Michael Gentis; stepdaughter, Nancy Gentis; 8 grandchildren and 11 great grandchildren. He was preceded in death by a stepdaughter, Karen Gentis. A Graveside Service will be held at 11:00 a.m. on Saturday, February 9, 2019 in the Decatur Cemetery, with Pastor Ernie Suman officiating. Military Rites will be conducted by the American Legion Post 43 Color Guard. Memorials may be made to Visiting Nurse Hospice. Arrangements handled by Haggard-Sefton-Hirschy & Zelt Funeral Home.